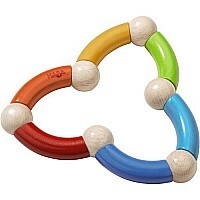 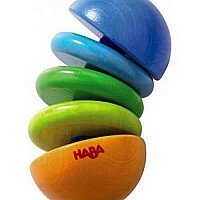 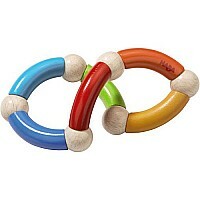 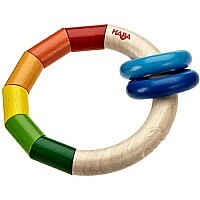 Keep your child entertained and engaged with the Color Snake Clutching Toy from HABA! The brightly colored wooden pieces are threaded on an elastic band and offer endless possibilities for manipulating and gross motor skill training. 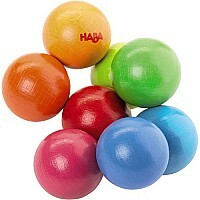 Measures approximately: 4.02 x 3.58 x 1.97 inches..